Poker has a long and storied history on this planet. Although its true origins are somewhat clouded (Was it based on the French game Poque? Was Poque actually based on an earlier German game? ), there's no denying that the game began to develop and come into its own in the early nineteenth century in the heavily French populated city of New Orleans, Louisiana in the United States. Along its almost 200-year history poker has enjoyed ups and downs and seen many interesting developments, events and figures of note. 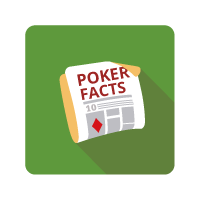 Here are just a few of the interesting points we found in the annals of poker history and lore. Let's start at the beginning. It is said that the game that we know and love started with French settlers in New Orleans. This early game was played with a deck of only 20 cards (10-J-Q-K-A) and was played 4-handed. As the game spread across the American West the 52-card English deck became used allowing for more players per game and an expanded number of hands possible. In 1937, a fifth suit was added to the deck, but quickly fell out of favour as players did not want to buy new decks of cards. Within the deck itself the suits are representative of early French social class status. Spades represented the ruling class or royalty. Hearts represented the Church or clergy. Diamonds represented the merchant class. And Clubs represented the lower class or peasants. Another theory about the card meanings suggests that each king in the deck represents a famous historical ruler. King of Spades represents the Biblical King David. King of Hearts is for Charlemagne. The King of Diamonds signifies Julius Caesar. And the King of Clubs is Alexander the Great. Over the years many recognizable names and faces have graced the poker tables of backrooms, saloons and casinos. During the early days of poker in the American West such notables as Wyatt Earp, Doc Holliday and Calamity Jane were frequent players. Wild Bill Hickok, another regular at saloon tables was famously shot dead during a game holding two pair 8-8-A-A (all black) and the event gave the hand the ominous moniker of the "dead man's hand." It is said that former American President Richard Nixon was an avid poker player. According to reports he earned over $6000 in the first two months of his WWII service in the U.S. Navy. He claims to have used that money and additional poker winnings during the war to fund his $10,000 campaign to win a seat in the U.S. Congress. Poker also attracts many entertainment notables from musicians to athletes to famous actors. The World Series of Poker regularly attracts such names from Hollywood as Tobey Maguire, Jennifer Tilly, Nick Cassavetes and Ben Affleck. With all of the Internet and television coverage, it's hard to imagine a world without the WSOP. But there was a time before the largest tournament on the planet was around. The World Series of Poker debuted in 1970 at Binion's Horseshoe casino in a room not much bigger than an average hotel room. It was a time that saw only 50 poker tables in Las Vegas and 70 tables in all of the gambling Mecca of Nevada. But the time was right for poker to start naming a world champion. The inaugural World Series of Poker was a series of high-stakes games played by only a handful of players. Jack Binion invited seven top players to participate in the event and presented a field of "Amarillo Slim" Preston, Doyle Brunson, Sailor Roberts, Johnny Moss, Puggy Pearson, Carl Cannon and Crandell Addington. Unlike subsequent years, a final heads-up showdown did not determine the winner. After several days of playing Johnny Moss was voted as the winner. According to lore, two votes had to be taken. For the first vote all players were told to vote for the best player and each voted for himself. The second vote called for the name of the second-best player. Johnny Moss won that vote and took home a silver trophy. The iconic bracelet did not debut until 1976. The first freeze-out WSOP event took place in 1971 with players contributing a $5000 buy-in. Johnny Moss took the title again with his second of three WSOP championships. Moss also took a second place in 1973 giving him three victories and a runner up placement in the event's first five years. Other multiple winners are Stu Unger (3), Doyle "Texas Dolly" Brunson (2) and Johnny Chan (2), with Brunson and Chan both winning their titles in back-to-back years. The first World Series of Poker main event to be televised was in 1973 and featured a field of 13 players and a $130,000 prize. Over the following decades, the WSOP grew in size and popularity. It reached its pinnacle in both size and purse in 2006 when Jamie Gold outlasted 8,772 other players and received a prize of $12,000,000. Gold was the chip leader for most of the second week of the tournament and went on to eliminate seven of the eight opponents he faced at the final table. One final WSOP tidbit, no player has ever won the main event holding A-A although an A-A hand has been broken on the final hand to end the tournament on two occasions, sending the "bullets" to the rail and their players to second place finishes. The year is 2003 and the WSOP Main Event and poker in general had been growing steadily, but no one was prepared for the explosion that an unassuming 27-year old accountant and amateur player from the middle of America was going to cause. Chris Moneymaker (yes, his real name) managed to outduel a field of 838 professional and amateur players to win a prize of $2.5 million. That, in itself would typically be noteworthy, but that's just the "ante" in this story. Moneymaker had only started playing poker three years earlier and prior to the opening day of the 2003 Main event he had never played in a live tournament. Moneymaker represented a new generation of online players who preferred the ease and convenience of playing online poker versus the travel and coordination necessary for live casino tournaments. He started his journey by winning a $39 buy-in satellite tournament online. His win earned him a seat at a larger tournament which he also won netting him a $10,000 seat to the live WSOP Main Event in Las Vegas. Once seated, this live-tourney novice took on all comers and began to knock out amateurs and professionals alike and quickly became the Cinderella story of the event. His journey culminated by besting Sam Farha's top pair with a full house of 5s over 4s. The popularity of poker across the globe exploded as young Internet players flocked to the computers with new fervor as they hoped to capture some of his magic. This explosion in popularity was subsequently named the Moneymaker Effect. Calamity Jane may have been the first notable female to be a regular at the poker table, but a quick assessment of the WSOP field will tell even the casual observer that women are making an impact on the game. Jennifer Harman became the first woman to win two gold bracelets in WSOP open events (events that are not women only). She won bracelets in the 2000 No Limit Deuce to Seven Lowball event and then picked up her second bracelet two years later in the $5000 Limit Hold'em even. Her first bracelet is especially notable because prior to the start of that event, Harman had never played that particular poker variation before. It should be noted that Barbara Enright and Nani Dollison each have three gold bracelets, but only one of each of their bracelets came in open events. Enright also holds the distinctions of being the only woman to reach the Main Event final table (1995, finishing fifth) as well as being the first woman inducted into the Poker Hall of Fame. Joining Harman in the two-open-event-bracelet-holder club in 2012 and passing her in 2014, there is little doubt who is the top female player (by winnings) in the world. Vanessa Selbst bust onto the poker scene and immediately made waves with her brash confidence. She has, to date, 21 live tournament rankings that paid her $100,000 or more and has accumulated over $10,000,000 in total winnings. She is also the only woman to participate in a Super High Rollers event. She finished third in the taking third place at the 2014 PokerStars Caribbean Adventure $100,000 buy-in tournament. She is also the only woman to ever reach the number one position on the Global Poker Index ranking of the top players in the world. Health and wellness doctor Lee Nelson is also New Zealand's top professional poker player in terms of overall winnings. Nelson has been a fixture on the Australasia poker circuit and in 2005 he pulled two wins at the Crown Australian Poker Championship. He also added to his 2005 banner year by winning the PartyPoker Wold Open in Kent, England and taking home a $400,000 in winnings. Not to be outdone, he followed 2005 with a main event win at the 2006 Crown Australian Poker championship and took home almost AU$1.3 million. Nelson, to date, has earned over $2,000,000 in live tournament winnings. Nelson is well-respected as an author as well, having penned thee books on poker play as well as a book on the treatment and care of prostate cancer. When not at the table, Nelson provides poker commentary for Aussie and New Zealand poker broadcasts. And when he takes time away from poker he serves as the retreat director of a health and wellness retreat that he built and opened outside the Abel Tasman National Park near Nelson, New Zealand. There is some debate as to what holds the distinction as the longest game in poker's history. We'll start with the most recent and what was probably the most promoted. In 2010 Phil "The Unabomber" Laak set the Guinness World Record for the longest poker game after completing 115 hours of game play at the Bellagio Hotel-Casino in Las Vegas. The previous record was set by David Cain in Lincolshire, England and was 74 hours and 12 minutes. Laak was allowed 5 minutes break per hour of play and was allowed to accumulate those minutes to take a longer break. According to Laak, he used no caffeine or other stimulants, but did allow himself at least one 30-minute nap. The play session was organised in part as a promotion of Laak's online poker room and he donated half of his winnings of $6,766 to a camp for children with serious illnesses in the U.S.
Also in consideration for the longest game was a game between mid-century poker legends three-time WSOP champion Johnny Moss and Nick "The Greek" Dadalos in 1949. The game play took place at Binion's Horseshoe Casino over five months. The players were allowed to sleep between sessions and the play involved every variation of poker played at that time. According to reports, Moss took Dadalos for over $4,000,000 over the course of the game. It is said that this event became a precursor to World Series of Poker play. Digging deeper into poker's history, there is a claim to a game running 8 years, 5 months, and 3 days. Though the details and authenticity of the claim are somewhat lost to time, the Bird Cage Theatre in fabled Tombstone, Arizona in the U.S. boasts that it hosted a game starting in 1881 and running into 1889 which featured a $1,000 buy-in (around US$1,000,000 today) and a number of the Old West's legendary card players. The are several ways to look at poker's largest wins. Let's first take a look at live high-stakes poker. If you keep an eye on the poker world, you know that Macau is a destination for some truly impressive live games that would make even the biggest bank rolls pause. According to Tom Hall, the owner of the Asian Poker Tour (APT), the largest single pot he saw (and has heard of) had an unnamed player bet HK$28 million with the river left to hit an inside straight. At the time, the pot had HK$51 million and the bet was called with a player holding top set. The inside straight hit and the winner of the pot took a pot of almost HK$110 million, making it the highest reported single hand of poker played. Bragging rights to the largest single hand of poker played online belong to Finnish pro Patrik Antonius (who ironically was not allowed at the table for the high-stakes games in Macau mentioned above because he was considered too "nitty" by billionaire player Guy Laliberte). Antonius, whose live tournament earnings currently sit at just under US$7 million, took an online Hold'em pot valued at over US$1.3 million from Swede Viktor Blum. The largest overall single tournament event win belongs to Antonio Esfandiari. Esfandiari, who has never won the WSOP Main Event, did manage to win the US$1,000,000 buy-in Big One for One Drop event. The tournament, which was a WSOP charitable tournament provided Esfandiari a record-setting US$18.3 million payday. It's no secret that poker has a language all of its own. Whether you find yourself down to the felt, drawing dead, or on the bubble, or heading to the rail you have to speak the native tongue. We mentioned the origins of the dead man's hand previously in this list. You know that a 10-2 is the Doyle Brunson. You know what ducks are, what happened when you hit the one-outer and that bullets can be broken, and you may know the origins of holding Dolly Parton. But number ten on our list is one you might not know. You do know that holding the nuts does not refer to a player hogging the can of cashews at your monthly game, but do you know its origin? "The Nuts" obviously refers to holding an unbeatable hand, but its origin in the poker glossary is not as obvious. This term originated in the American West where it was common to bet guns, deeds, even the horse and wagon they came to town in. It became customary if a player did bet his horse and wagon that they go out and remove the wheel nuts from their wagon and set them on the table to ensure they wouldn't make a quick getaway in the event that they lost the hand. Therefore it became known as "betting the nuts" and was widely assumed that anyone betting the nuts would only do so while holding the best possible hand.